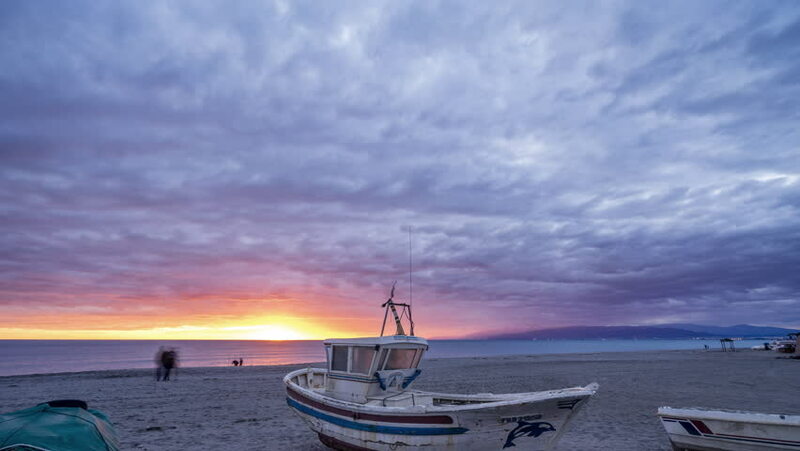 Amazing sunset Transition Timelapse by the coast of Almeria by the mediterranean see. With a fisherman boats infront. The city at the Foreground is Almeria. hd00:15Bulgarian Black Sea coast. Beach of Primorsko. On 08 09 2012 End of season. The last sunny days.